FlightView is one of a number of apps that bring almost all of your flight data together in one place: terminals, gates, departure and arrival schedules, and then adds real-time tracking so that you know what’s really goin’ on. It’s simple, and it works: Enter the date, airline, and flight number, and it will tell you the plans. 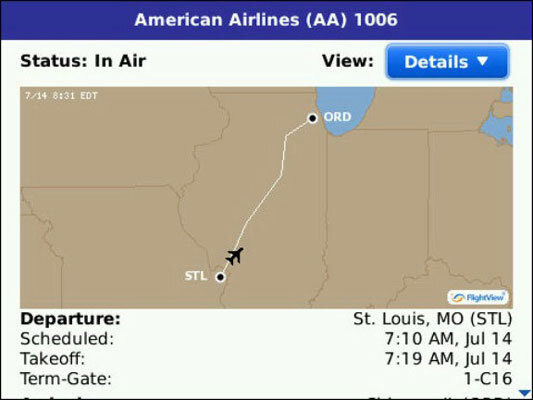 Click Options and save the information to your BlackBerry calendar, along with any notes you might have about the travel. The BlackBerry app will show if there’s a conflict with another appointment on your calendar. On the day you fly, check in to the My Flights tab for all the latest news and the graphic called the Airport Delay Map (not the Airport On-Time Aren’t We All Happy Map), which shows the status of most of the major airports in the United States. 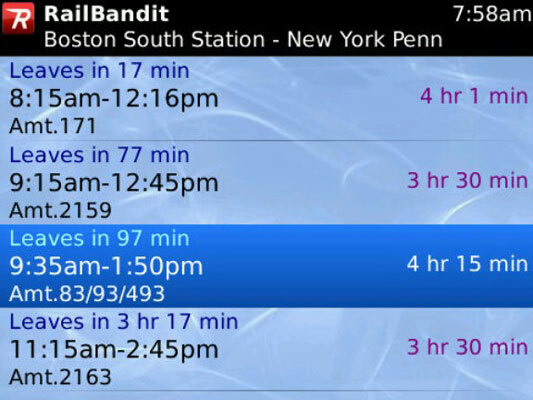 RailBandit is an electronic copy of train schedules from many of the major metropolitan areas of the United States. Your subscription allows you to construct as many trips as you want in any of the areas covered by the app; you can see every available train from the current time forward, or you can limit the number of trains. And you can ask the system to optimize the selection to show the shortest schedule or the one with the fewest connections. 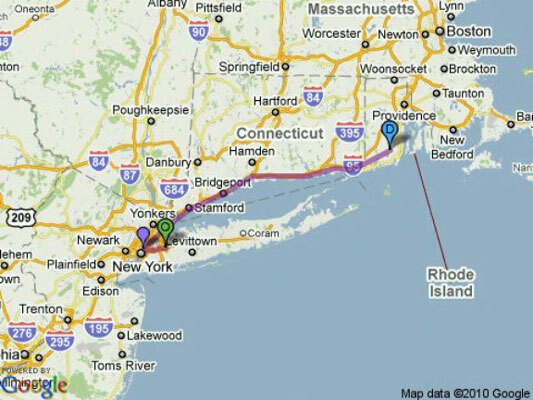 On BlackBerry devices that include a GPS, you can track your train’s progress while you’re on board and see if it’s on schedule. You can also see your progress on a map. 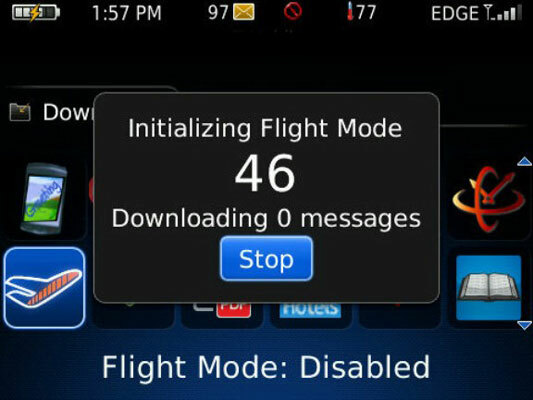 If you click the Cortado Flight Mode on your BlackBerry, it automatically opens any new messages and saves them to your device memory so that you can read them after you turn off all connections on your BlackBerry, as required on planes. Then, automates the shutdown of your phone’s radios to comply with the flight attendants’ demands. After you’re in the air, you can turn on your BlackBerry (an indicator on the icon shows that radios are off) and read the mail saved to your device’s memory. (E-mail attachments aren’t downloaded.) When you land, turn on your BlackBerry and click Cortado Flight Mode again; it re-enables your phone’s communication systems, and you can resume your normal fully connected life. 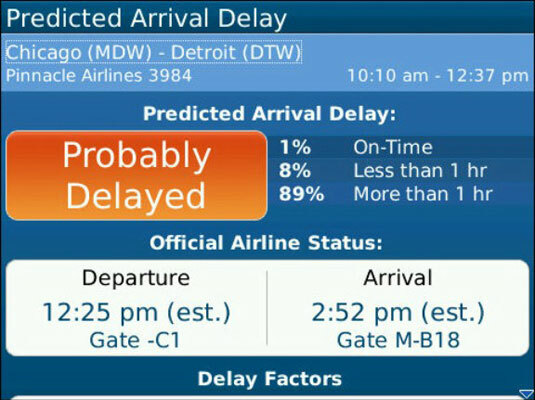 FlightCaster tries to fill in the huge gaps in knowledge for airline travelers by assessing the probability of delays for a particular flight; it’s at its best about four to six hours before scheduled departure. FlightCaster takes data that includes airline and government data about on-time performance for a particular flight and then adds to it the latest news from the FAA Air Traffic Control System Command Center and the National Weather Service. 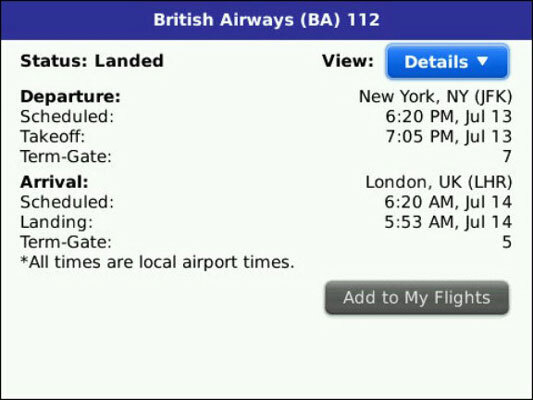 And then it mixes in any official status reports from the airline itself. You do have to understand how airlines work (or don’t work) to use it properly. FlightCaster may report that an incoming flight is going to be six hours late; before you head back to bed, check with the airline to see if they’re rolling out a substitute plane or offer a different routing. 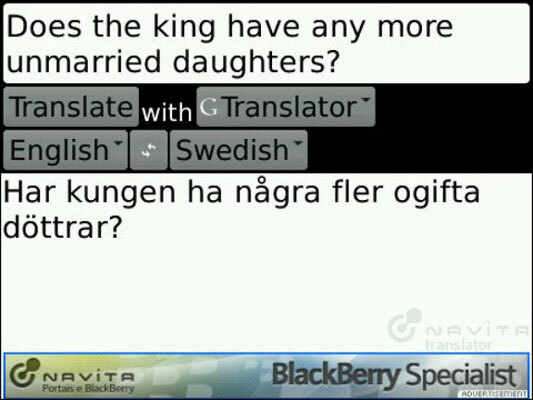 Navita Translator is a nicely polished portal that allows you to enter words or phrases in more than 50 languages and translate between and amongst them. It can also give you an audio readback of the translation in a handful of languages, including English, French, German, Italian, Portuguese, Russian, and Spanish. You can even cut and paste to and from e-mails and text messages or send your translations to Twitter. The free version comes with an ad banner across the bottom. For a small annual fee, you can turn off the ad.